I put the carriage before the horse. Getting compatible fittings, adapters etc. should have come first. My original plan was to aim for maximum compatibility & originality -- simply recreating the car's original configuration, but with E85-compatible materials. This would mean replacing the body-to-engine feed and return hoses in the engine room with identical parts, getting the flared "screw" fittings fabricated onto the pipe ends, and replacing all O-rings. It turns out this wasn't so simple after all. Apparently the "flared end + thread" fitting used in the fuel lines is a GM-specific thing, and fabricating it onto a raw piece of pipe requires a special tool. All other hose-pipe fittings use simple clamps. I've queried American Service, South West Trade, US Parts, Metro Auto, Specialty Engineering and Hydromarket whether it was possible to fabricate the male end to an existing pipe, or if any kind of adapters to either the male or female side of this attachment are available. No-one seems to even know about such adapters, and the the repair shops don't have the equipment to create the flared pipe ends either. For the record, a GM Fuel Line Flaring Tool Kit goes for between $203 and $360 in the US, so I'm surprised that even reputable shops don't have them. 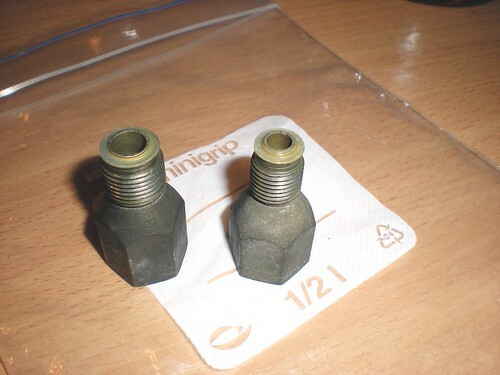 Right: fuel return pipe adapter. This seems to be an M12x12.5 thread (measured diameter: 11,8 mm, thread pitch 1.25 mm). Notice the white plastic(?) ring at the end of each adapter. They probably work as seals, so simply screwing an adapter with the same thread, but without the seal, wouldn't suffice. 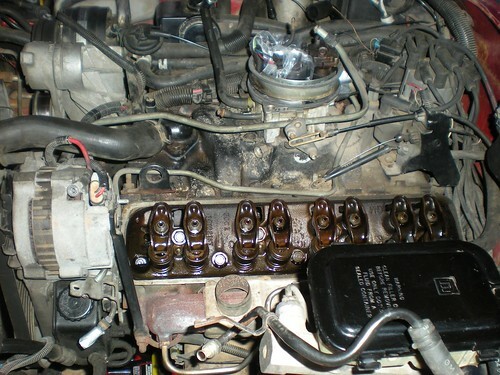 It was impossible to get useful measurements of the available space around the ports, so after carefully removing dirt from around the TBI unit, I screwed it off from the intake manifold and took it shopping. It's attached with three bolts, left, right and front. 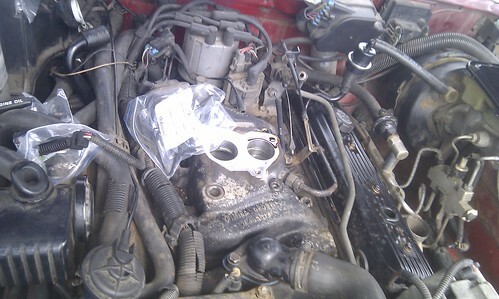 The intake manifold exposed. Engine oil was coming out of the TBI bolt hole on the driver's side. 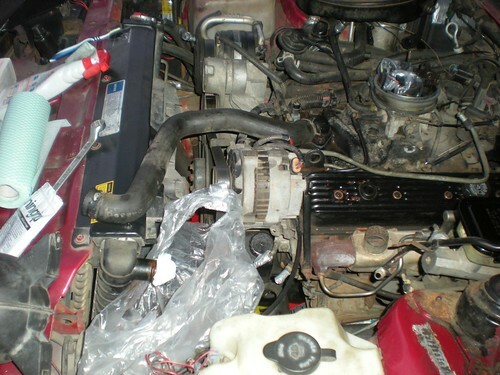 In this pic I had also removed the fuel return pipe, and the fuel feed pipe is loose on the right side (details below). After a few iteration around the shops, a helpful sales rep at US Parts managed to find adapters that fit the female threads in the Throttle Body. 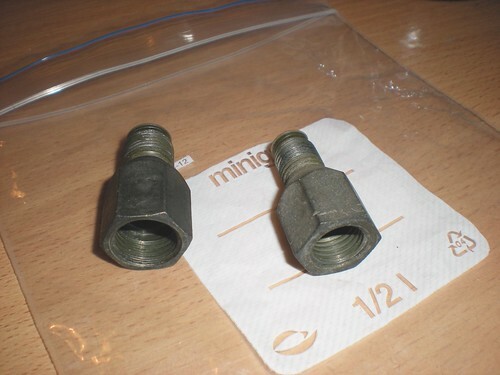 The adapters then let you connect AN system hose fittings and hoses, specifically size AN-6, which means a hose inner diameter of 6 * 1/16" = 3/8" = 9.525 mm. 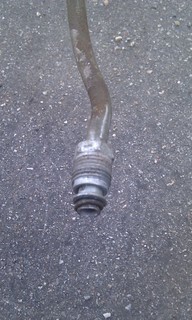 The original fuel feed line was probably 3/8" as well. The magical pair of adapters in question is one of Russell 640813 and 640803 (black, anodized) or 640800 and 640810 (blue, nickel plated). The black ones were ordered and should arrive in 1-2 weeks. 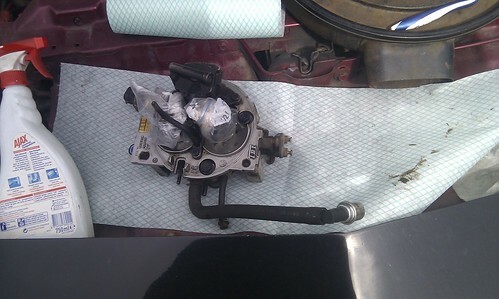 Since I'll be connecting hoses directly to the back of the TBI, the engine fuel feed and return pipes are redundant. Due to their shape and the flared ends, the pipes can't simply be pulled out though. The easiest way to remove them would be to split them in half with a pipe cutter, but I simply can't bring myself to destroying original components that are still in fine usable condition. So, we'll disassemble parts until they come out. 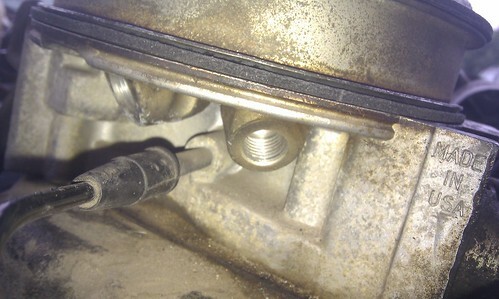 Even then, it's too tight between the charger and the rocker box to get the thicker fuel feed pipe out. There are some nasty scratches on the pipe already. If the rubber hose on your vehicle's fuel lines is hardened, cracked, leaking or damaged in any other way, it needs to be replaced immediately. Bad fuel lines will result in lost gas mileage along with other problems and hazards. 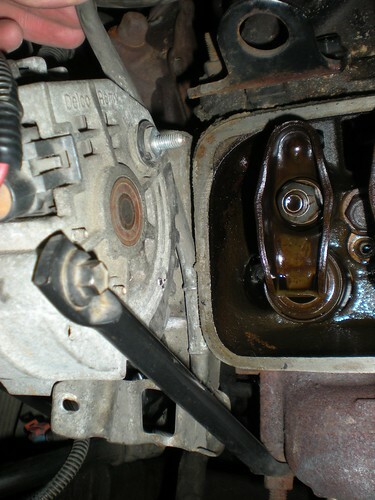 The fuel lines are connected directly to the fuel filter. 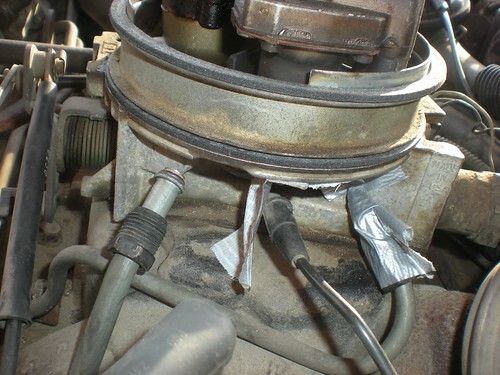 If the hoses are old and damaged, there's a good chance the filter needs replacing, too, so change it with the fuel line.